I'm so glad it's Friday. I'm even more glad Ryan convinced me to take the day off of work today. I needed a break. Not that my job is so hard, but I needed a mental break from being tied to the desk all day. We're going to go see the movie Brave, this afternoon, all together. We haven't done that in a long time. Later this evening, we will probably stop by the splash park again, and maybe even ride the carousel...again, even though I'm still nursing a sun burn from yesterday. Since we are leaving we are trying to use up the perishable items we have in our fridge, which is making for some interesting meals. 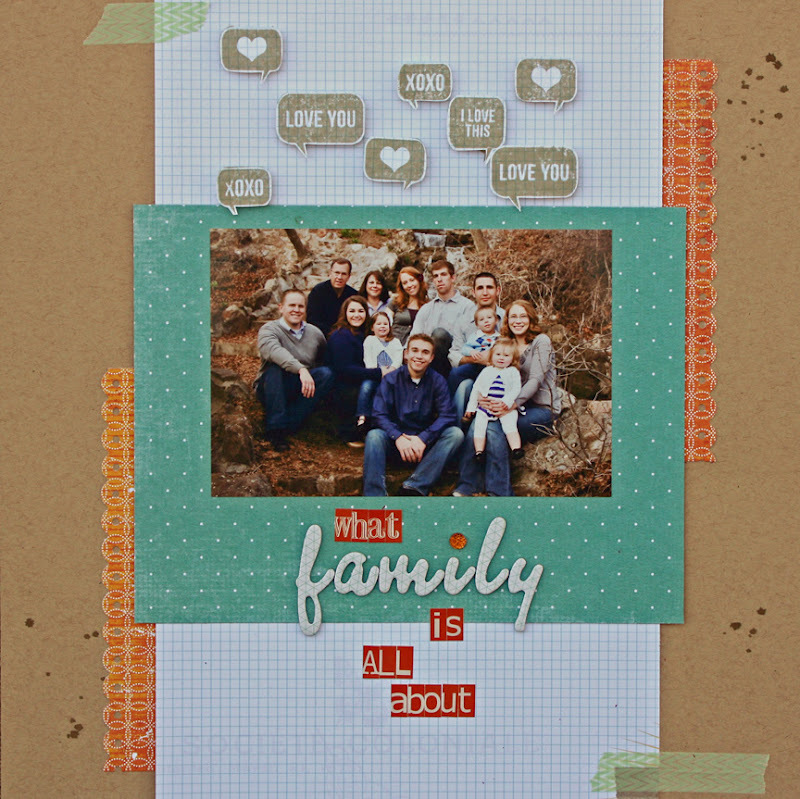 One more layout to share using my June Studio Calico Kit. This was actually the first page I made, but I added some things and made adjustments to it after I thought I was finished with it -which is why it's taken to long to get it up on the blog. I really adore the family pictures Aly took of us earlier this year. The session was quick and painless and we all look like ourselves. I really love that Aly got to meet my whole family, since she's been taking pictures for me for the past 4 years.